Buy Anxious Creative a Coffee. ko-fi.com/anxiouscreative - Ko-fi ❤️ Where creators get paid by fans, with a 'Buy Me a Coffee' button. Anxious Creative is home to A Drug Called Fandom, a podcast that dives into how fandoms are influencing people and building communities. Holy cow! Our first goal was met by one generous patron! <3 <3 <3 Thank you so much!! Secured Payments. 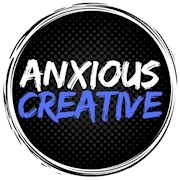 Support goes to Anxious Creative's account. Upgrade Anxious Creative to a yearly Gold Membership with a one-time payment.